Hello Everbody, looks like this week it’s going to be a double dose of the Dak. Chaos is on the rise, and today we are going to be reviewing the Havoc’s new groove. So, Lets dive in shall we and take a look into the past to see how we got o where we are today. To start, Havoc squads used to be the go to option for firepower outside of obliterators back in the day. In editions past being T4 and having a 3+ armor save meant you were actually quite durable. Plus, back in the day you had marks of chaos that would noticibly alter a model or add some special rule. In fact, most people used to mark Havocs as Nurgle for that sweet T5. Which, back in the day was even bigger deal as lasgun fire and equivelent would wound you on a 6. There was also the fact that Ap didnt modify armor rolls it just negated it if it was good enough. So, armies had to usually take a specific unit or wargear options to specifically counter MEQ. Making them a surprisingly durable choice. All of that changed when 8th hit. Suddenly, it was easier to wound toughness 4 models with weaker guns, Ap modified your save, and taking certain marks only gave you keywords and didn’t fundamentally change the model or its profile. The end result was relatively weak models with very expensive guns, that also had to stand still to shoot those expensive guns effectively. Leaving them exposed to being smashed off the table turn 1 from basic heavy bolters. The only way around this was to make the squad even MORE expensive by taking extra dudes to soak up wounds. Which then made you vulnerable to morale. The result, Havocs all but disappeared from the competitive scene and tabletops for the most part. 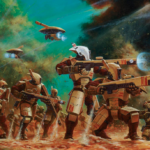 After all, nobody wants an expensive roughly 38pt models to just die from a few bored guardsmen with heavy stubbers, or just run off after losing some meat shields. As such, Havocs kinda just stopped being played. Thats is all looking to change! The New havocs have gotten a small but VERY impactful change. They now are T5 and get to move and shoot heavy weapons! 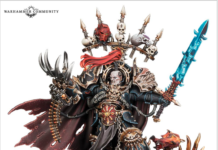 Wow, this fixes the biggest problem with Havoc Marines. 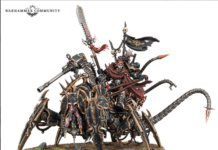 Their lack of durability in 8th edition. The added point of toughness is obvious, but being able to move and shoot is even more impactful. 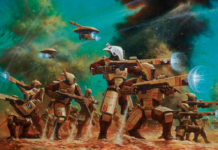 Now, you can hide you Havoc squad during deployment or even shove them in a rhino protecting them from your opponent turn one. This way, when its your turn they can move out behind cover and shoot, giving you at least one good turn with them. You also have the added benefit of being able to move the squad into more ideal firing lanes, giving you LOS on you enemy while hiding them from a good chunk of the opponent’s army. all of this for 1 more point per dude. Now, some of you might be lamenting the fact you cant bring extra guys in the squad. keep in mind that its obviously for balance reasons, as having a squad of 10 dudes with T5 and four heavy weapons would be a little silly. Some are also discouraged by the fact the squad HAS to take four heavy weapons. Though it really just means Havocs are going to be what they were always supposed to be. A heavy weapons squad. For the most part, the squads load-out options remain the same. One of the nice things is being able to give the aspiring champion a special weapon. Because combi weapons can be a tad expensive, especially on the dude who is almost certainly going to die first. Otherwise your options remain the same. 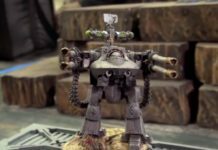 Havocs can still take lascannons, autocannons, ect. Most of you already know what I am going to talk about next. Thats right, its the gun everybody want right now, the Reaper Chaincannon. Holy crap, the Reaper Chaincannon is amazing. 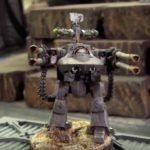 For 20pts you get an 8 shot heavy bolter with range 24″. 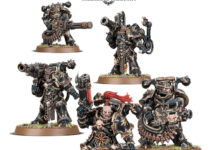 So, if you were to take a full squad of 4 you would be getting 32 heavy bolter shots that would be able to smash almost any infantry unit in the game. Even more elite units like bullgryns are going to start failing saves. Meanwhile cheap screens and infantry blobs like ork boys and gaunts would be virtually wiped out to a man. The catch? There is only one in each box of Havocs. 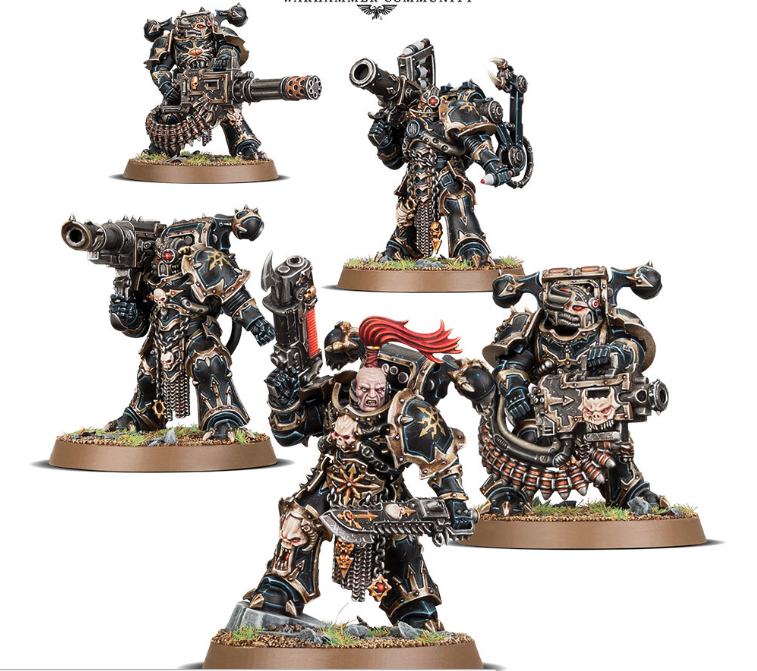 Meaning you would have to buy four full boxes to make one pure Chaincannon squad. I expect to see plenty of kit bashing and overpriced bits for sale online. Having said this, the box is still a great value, and having a Squad with lascannons or autocannons is still a good option. the answer is yes, you should definitely pick up some havocs. They are finnaly the heavy weapons team they were always meant to be. 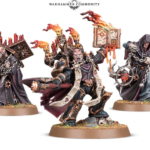 Plus the new minis just look cool. If you loved this article, and can’t wait to get more awesome Nights At the Game Table Content, click here to join our Members Area! Next articleNights At The Game Table Battle Report Army Lists: Deredeo Space Wolves vs. Deceiver Necrons! 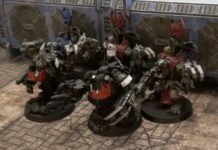 Nights At The Game Table Battle Report Army Lists: Deredeo Space Wolves vs. Deceiver Necrons! 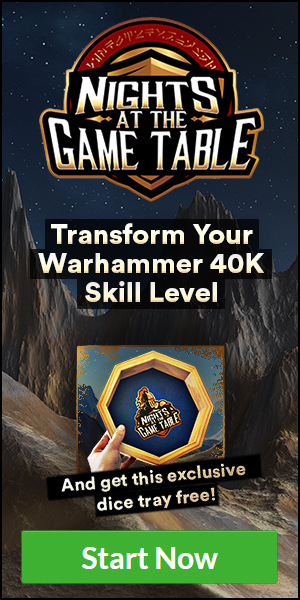 Here at Nights at the Game Table, we're passionate about gaming, and are on a mission to turn tabletop gaming such as Warhammer 40k, Age of Sigmar, Magic the Gathering, and so many more, into an event of such immersive fun, that you'll not only enjoy winning a lot more, but your opponents will be enjoying your atmosphere so much, they'll be thanking you for beating them!